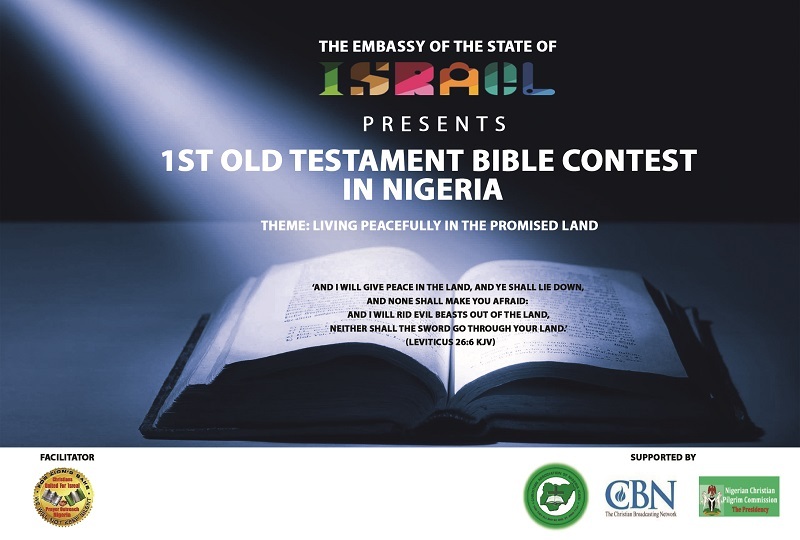 The Isreali Embassy in Nigeria in collaboration with the Israeli Ministry of Education, Christians United for Israel (CUFI) and other friends of Israel has flagged off the inaugural National Old Testament Bible Contest in Nigeria. This was contained in a statement issued by the embassy and signed by the Deputy Chief of Mission at Embassy of Israel in Nigeria (Chargé d’affaires) Nadav Goren. It disclosed that the maiden edition of the competition is the first of its kind in both Nigeria and Africa at large. “Peace and reconciliation is an important idea reflected throughout the Bible and feels particularly relevant today. We live in challenging times with conflicts at varying intensity levels in the North East, Middle Belt, South East region and in the Niger Delta. As we near elections here in Nigeria, these tensions are prone to show more. “Choosing this theme at this time is a clear message to Nigerians to be resilient in their opposition to violence throughout the electoral process and thereafter. The Bible contest will be in three stages. “The winners from each state will then compete against each other in the geo-political zone stage. “The final will be a written exam consisting of 12 contestants selected from the different geo political zones and will take place in Abuja in November, 2018.” The statement read.